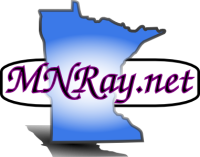 Besides his on line business adventures, Jason Ray took it upon himself to create and maintain the web site for the Sumac Hills Disc Golf Course in Barrett, MN on the farm of Tim & Kathy Ray. After the loss of Jason, the family took over his web sites and created an on line memorial to Jason. Extensive use has been made of Free & Open Source Software in creating and maintaining these web sites. Click on the links below to learn more (pages will open in a new window).